In order to realize the full potential of the campus, three parties opted for cooperation. DSM, Province of Limburg, and Maastricht University formed a consortium, which started in 2012. At DSM people were convinced of the great potential of the campus. After discontinuing the implementation of the Master Plan in 2008 (read The campus develops into an economic engine), DSM was looking for cooperation with other parties to bring this plan to a successful conclusion. In collaboration with the Province of Limburg and Maastricht University / Maastricht University Medical Center+ ambitious plans got off the ground. These three parties represent government, research, and business. The collaboration was referred to as Triple Helix; the parties formed a consortium. Early 2012, the Triple Helix partners announced to invest in total over 180 million Euro in research facilities, a venture capital fund for companies, an education program, and real estate for the accelerated development of Chemelot Campus and Maastricht Health Campus. Later that same year, Chemelot Campus B.V. was established, with the Triple Helix partners as shareholders. The objective of this new legal entity was to develop the campus into a preferred location for companies, educational and research institutions in advanced chemistry. The venture capital fund took shape as Chemelot Ventures (starting capital 50 million Euro). The Chemelot Campus shareholders each had their own interest in the campus development. DSM could create, at its own premises, an environment where it could foster the development of innovations. The province could responsibly use its financial resources – amply available after the sale of its shares in energy company Essent – for the good of the Limburg society. The university could relatively easily have access to special facilities (laboratories) that were needed for a new education program in the natural sciences. In 2012, the construction activities were resumed with the construction of the head office for LANXESS Elastomers (now ARLANXEO). This company had taken over the synthetic rubber activities (Keltan) from DSM a year earlier. The office was built in record time and the next year it was official opened. In the same year – 2012 – two educational initiatives started at the campus, CHILL and the Maastricht Sciences Program. During the mining years and long after, DSM had its own training institute at Geleen. For instance, in 1929, the Maurits State Mine started building a school for breaker boys, who were trained to be miners. Around 2000, DSM stopped all its in-house training activities. However, the shortage of adequately trained personnel presented more and more problems. In 2010, the Dutch government made funds available, through Platform Bèta Techniek, for educational investments. In 2012, this resulted in Chemelot Innovation and Learning Labs (CHILL), in which Zuyd University of Applied Sciences, Arcus College, Leeuwenborgh Opleidingen *), and Maastricht University cooperate; the center was based at Chemelot Campus. CHILL makes available an innovative learning, working, and research environment, where education and business cooperate in the development of knowledge and new products. The Maastricht University’s Maastricht Science Programme started as a liberal arts & science education, in which students are educated at bachelor level in natural sciences. 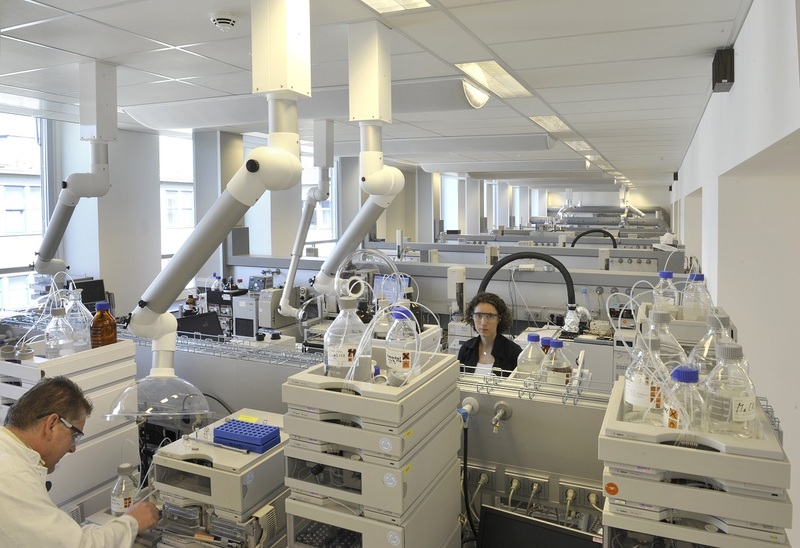 Two master programs were added: a Master Biobased Materials at Chemelot Campus (starting 2013) and a Master System Biology at Maastricht Health Campus (starting 2014). In addition, Maastricht University and the Rheinisch-Westfaelische Technische Hochschule (RWTH) in Aachen started the Aachen-Maastricht Institute for Biobased Materials (AMIBM) at the campus in 2013. In addition to CHILL and Maastricht University, Enabling Technologies and Reverdia were new entrants in 2012. Enabling Technologies is a joint venture of DSM, Maastricht University / Maastricht University Medical Center+, and the Province of Limburg. This organization makes available high-quality analysis equipment, such as microscopes and spectrometers, to SMEs. Reverdia, a joint venture between DSM and Roquette, produces succinic acid that is used in bio-based materials. Brightlands was introduced in 2014, the brand name for Chemelot Campus and Maastricht Health Campus, later on also for Smart Services Campus at Heerlen and Campus Greenport Venlo. In the same year, two research institutes were set up at the campus. Chemelot Institute for Science and Technology (Chemelot InSciTe) initiates research programs in the fields of biomedical materials and bio-based materials. Brightlands Materials Center (BMC) does research into advanced applications of polymer materials. In 2015, a building became available where companies can accommodate their pilot plants. Chemelot InSciTe, Sappi, and Technoforce were among the companies. The South African paper company Sappi does research into the production and application of nanocellulose. The Indian company Technoforce (since 2013 at the campus) is working on separation technology (read A seperate post about separation). 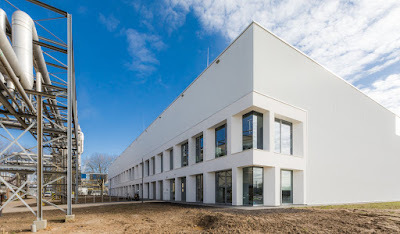 In 2016, Center Court was opened, a new building with general facilities, such as a restaurant and meeting rooms, as well as new accommodations for DSM Innovation Center, CHILL, and Maastricht University. In 2017, Sekisui S-Lec established a European research center at the campus, for research into new applications of films in cars. This year (2018), two new buildings are under construction: the BrightHouses, which will accommodate Sitech Services and a number of other companies. Recently, the establishment of the Brightlands Sustainable Technology Center (BSTC) was announced. In recent years, Brightlands Chemelot Campus and Chemelot Industrial Park have developed quite independently. Through the BSTC, campus and site are reunited on one single agenda. This research center must come up with revolutionary solutions to ensure that Chemelot will be climate neutral by 2050, while CO2 emissions are reduced to (near) zero. The input of companies, research institutes, and knowledge institutes, such as Sitech, TNO, and Maastricht University, is required for this. This new center shows that Brightlands Chemelot Campus is the preferred place for new research. Finally, at the end of 2018, it was announced that Fortimedix Surgical is moving from Nuth to Brightlands Chemelot Campus. *) Arcus and Leeuwenborgh in a merger. Read also How it started underground, The first transition: from coal to chemicals, When it went darker than in a mine shaft, How DSM developed into a chemical company, How DSM made a big leap forward, DSM from commodities to higher added value, How DSM remained profitable in the 1990s, How Chemelot started, and How Chemelot has prepared for the future. This is a repost of my (Dutch) November 5, 2018 post. Read my May 20, 2013 blog post about the reason why of my English reposts. Even though the DSM site was renamed Chemelot, DSM still invested in the further development of the research campus after 2005. The 2008 financial crisis threw a spanner in the works. Nevertheless, successes were achieved and these did not go unnoticed. Commissioned by DSM, Broekbakema architects from Rotterdam designed the Masterplan Chemelot Campus in 2005. This ambitious plan should lead to a thorough renewal of the campus real estate: renovation, demolition, and new construction, plus the construction of new infrastructure. This should result in an attractive location for existing and new companies. At that time, DSM and SABIC were the most important companies. In 2007, the implementation of the plan was at full speed. Some of the wings of the former Central Laboratory were thoroughly renovated for the benefit of DSM and a new office building was completed for SABIC’s research department. In 2005-2006, Kriya Materials and Basic Pharma opened their doors at the campus. Kriya Materials produces high-quality coatings, incorporating metal oxide dispersions that have been developed in-house. The company applies nanotechnology. Basic Pharma handles medicines: development, registration, and production. The company moved to the Van Iterson building, a former Polychemlab laboratory that has been converted into a business center. Since 2011, the company has installed a GMP-certified clean room in this building for the sterile preparation of medicines. It uses this facility for instance to prepare drugs for clinical trials in the Maastricht University Medical Center. A remarkable entrant in 2008 was Isobionics. This company develops and produces flavors and fragrances, building on DSM’s technological know-how. Production takes place in a biotechnological process, the first product being valencene (orange; read The wealth of scent). In 2008, the execution of the master plan was rigorously stopped due to the financial crisis. The first successes that were (nevertheless) achieved at Chemelot did not go unnoticed: the attraction of new activities, innovations in products and production processes, and the creation of new jobs. The same year, the Province of Limburg presented the Acceleration Agenda 2008-2011 (Versnellingsagenda), in which Chemelot was called the engine of the economy. The municipalities in the region made Chemelot their priority in economic development. A study by Buck Consultants, commissioned by the Ministry of Economic Affairs, which was published in 2009, showed that Chemelot was (and still is) one of the six campuses of national importance. Some of the 2009 entrants were TiGenix and Zuydlab. The Belgian company TiGenix is a specialist in regenerative medicine. The cell therapy products are used to repair damaged knee cartilage. In the former warehouse of the Holland Sweetener Company the company installed advanced clean rooms. In 2014, the facility was taken over by PharmaCell from Maastricht, which in turn was taken over by the Swiss company Lonza in 2017. This year (2018), Tigenix was acquired by Takeda Pharmaceutical Company. The collaboration with Zuyd University of Applied Sciences took shape with Zuydlab, where students and scientists did research, commissioned by SMEs. This institution was later integrated in Chemelot Innovation and Learning Labs (CHILL). The 2010 entrants were Avantium, Mitsubishi Engineering-Plastics, and Ekompany. Avantium from Amsterdam is a spin-off from Shell. This company built a pilot plant for a new generation of bio-based green materials and fuels. It has developed a process to convert carbon hydrocarbons in biomass into so-called furane, which can be applied in packaging (the so-called PEF bottle). The pilot plant was taken into operation in 2011. Avantium and BASF founded the joint venture Synvina in 2016 to build a demo plant in Antwerp. At the campus Synvina has started its own pilot plant. Mitsubishi Engineering-Plastics took over DSM’s polycarbonate activities in 2010 and set up a new Technical Center at the campus to support its European customers, making use of the polymers know-how and facilities available at the site. Ekompany built a test facility at the campus for the preparation of slow-release fertilizers. Coating of urea ensures that the nitrogen is slowly released, allowing highly accurate dosing, which is good for the environment. In its coating research the company made use of the expertise available at the campus, especially in the field of analytical techniques and process modeling. A full-scale fertilizer coating plant was built in nearby Holtum, at a location accessible to large vessels. After the research was finished in 2013, the company left the campus. In 2011, the Brainport 2020 program was presented. The objective was to convert the southeastern region of the Netherlands into a major economic engine for the entire country. At that time, this region represented 55% of the patents, 45% of the private R&D investments, and 35% of the Dutch exports. The High Tech Campus Eindhoven and the Chemelot Campus were the main spearheads in Brainport 2020. For executing the Brainport 2020 agenda in South Limburg, Limburg Economic Development (LED) was established. Recently, LED was renamed Economic Collaboration South Limburg (Economisch Samenwerking Zuid-Limburg ESZL). A remarkable entrant in 2011 was Yparex. This company produces extrudable adhesive resins based on polyolefins. This activity was taken over from DSM by Resin, recently renamed The Compound Company, a company based in the Twente region. Yparex is used in packaging films and pipes. In 2012, the campus development received a new boost. 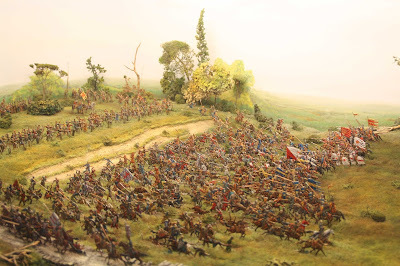 This is a repost of my (Dutch) October 8, 2018 post. The DSM site had been renamed Chemelot Industrial Park. Around 2010, the transition of the area seemed completed – well, it wasn’t. Read how almost all DSM plants at the site were transferred to other companies and how Chemelot prepared for a new future. Although the two entities are kind of Siamese twins, Chemelot Industrial Park and (Brightlands) Chemelot Campus developed in their own way after 2010. This article focuses on the chemical park (the next one is about the campus); read How Chemelot started for the preceding period. Today, DSM has sold almost all its plants at the chemical site. This started in 2010, when DSM’s ammonia, fertilizer, and melamine activities were taken over by the Egyptian company Orascom Construction Industries and renamed OCI Nitrogen. 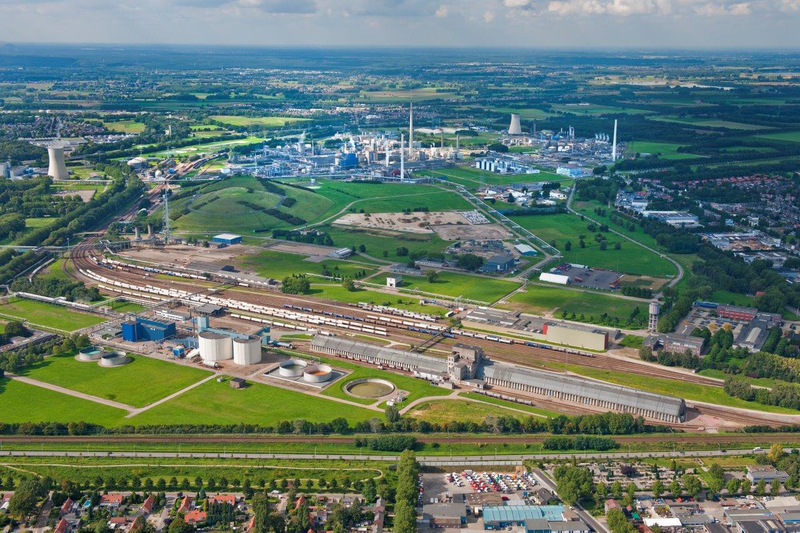 The same year, OCI Nitrogen relocated the Nitric Acid Plant 6 from IJmuiden, where the fertilizer production had been discontinued, to Chemelot, a project DSM Agro had started the year before. In 2011, DSM’s synthetic rubber activities (Keltan) were taken over by the German chemical company LANXESS. In 2015, LANXESS entered into a 50/50 joint venture with Saudi Aramco for the rubber activities worldwide, Chemelot included. The name of the joint venture: ARLANXEO. Since the take-over in 2011, half of the rubber production at Chemelot was converted to the innovative Keltan ACE technology. In 2018, it was announced that Saudi Aramco completely took over LANXESS’ shares in ARLANXEO. In 2013, DEXPlastomers, a DSM and Exxon Chemical joint venture, was taken over by the Borealis Group. This plant now operates as Borealis Plastomers. In 2015, DSM sold the caprolactam and acrylonitrile plants to venture capitalist CVC Capital Partners, although DSM kept a minority share in both plants. The two plants were parts of the ChemicalInvest Holding. The caprolactam plant was renamed Fibrant – Pure Chemistry; the acrylonitrile plant was called AnQore, manufacturer of Smart Materials. CVC is also the owner of companies such as Avast (security software), Breitling (watches), and Douglas (perfume chain). In 2014, when Fibrant was still DSM Fibre Intermediates, a new plant ammonium sulphate plant was put into operation, replacing an outdated plant for this type of fertilizer, which is a by-product of the caprolactam production. Early 2018, it was announced the DSM had sold its Fibrant shares to the Chinese Highsun Holdings Group. Today, DSM has only three plants at the chemical site: the Stanyl plant, the UHMW-PE plant for the Dyneema production, and a raw materials plant. This is the final score after a long series of divestments since 2002, when literally every blade of grass was still owned by DSM. Nowadays, we can no longer say “at DSM” when we actually mean “at Chemelot”. The Stanyl plant remains important for DSM because of its focus on performance materials. In 2008, DSM doubled the Stanyl production capacity at Chemelot, while it also expanded the production capacity for the UHMW-PE, used in its Dyneema product. In 2008, the Belgian company Cymaco set up a unit for inspection and maintenance of gas cylinders at Chemelot. Acetylene gas is a by-product of SABIC’s naphtha cracker, which is used by welders. The acetylene filling station was taken over from SABIC by Air Liquide two years later. In 2009, Boels Rental opened a branch at Chemelot. The Japanese chemical producer Sekisui S-Lec commissioned a second polyvinyl butyral resin plant in 2010, doubling its production capacity. Now (2018), the production capacity is further expanded. In 2012, Wagenborg Nedlift, a logistic service provider (crane rental and exceptional transport), settled at Chemelot. The same year, Mammoet, another logistic service provider, opened a new building at the site. In 2013 was the opening of the Rail Terminal Chemelot, a consortium of Meulenberg Transport, Ewals Intermodal, and the Port of Antwerp. This container terminal contributes to the ‘modal shift’ from truck to rail, thereby relieving car traffic in the region. This public terminal is mainly used by SABIC and DSM. 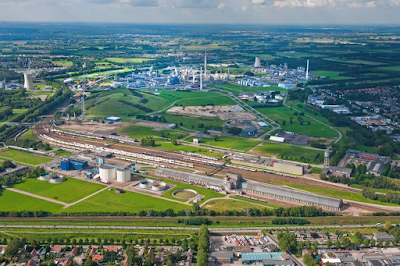 Since 2016, the PVC plant is owned by Vynova, part of ICIG, that specializes in vinyl chlorides, with factories at Tessenderlo, Wilhelmshaven, Mazingarbe, Runcorn, and Chemelot. ICIG (International Chemical Investors Group) is a Luxembourg-German industrial investment company, also the owner of Enka (previously AkzoNobel). In 2016, Quality Circular Products (QCP) started a new recycling plant. Here plastic packaging waste from households, which is collected separately, is processed into plastic material, with a quality comparable to plastic from oil. Since 2018, LyondellBasell and SUEZ are 50/50 owners of QCP. At Chemelot Industrial Park SABIC has two naphtha crackers (Olefins 3 and 4) and several polymerization plants. OCI Nitrogen is present with two ammonia plants, three nitric acid plants, a fertilizer plant, and a melamine plant. ARLANXEO has a synthetic rubber plant (Keltan) and Sekisui S-Lec a resins plant. You can also find Fibrant’s caprolactam plant and AnQore’s acrylonitrile plant. DSM still has the Stanyl plant. Borealis Plastomers (plastomers), Vynova (PVC), Polyscope Polymers (SMA), Carbolim (carbon dioxide), and QCP (plastic recycling) complete the enumeration of large-scale chemical production at the site. To support these activities there are a fire brigade, security, a power plant, steam plants, roads, rail, a rail terminal, pipelines, sewers, and a waste water purification. Chemelot is an integrated site, where streams of (by) products are exchanged between plants. In 2016, the report Visie Chemelot 2025 was published. This publication marks the start of a new development, with the objective to make Chemelot the most competitive and sustainable chemical site in Northwestern Europe by 2025. Since the publication of the report Chemie in samenwerking: Veiligheid op het industriecomplex Chemelot by the Dutch Safety Board in 2018, a firm safety ambition was added to this objective. In order to achieve these objectives, various plans are developed and implemented, partly in collaboration with governments and other chemical clusters. In May 2018, it was announced that Mitsui Chemicals will open a new facility at Chemelot for the production of a PP compound, to meet the growing demand for lightweight polypropylene car parts in Europe. This and previous articles about the history of Chemelot are partly based on two books: Research tussen vetkool en zoetstof – Zestig jaar DSM Research 1940-2000, edited by H. Lintsen (2000, Stichting Historie der Techniek/Uitgeversmaatschappij Walburg Pers) and The company that changed itself – R&D and the transformations of DSM by Arjan van Rooij (2007, Amsterdam University Press). Read also How it started underground, The first transition: from coal to chemicals, When it went darker than in a mine shaft, How DSM developed into a chemical company, How DSM made a big leap forward, DSM from commodities to higher added value, and How DSM remained profitable in the 1990s. This is a repost of my (Dutch) September 10, 2018 post. De geschiedenis leert dat de functie die spreekwoordelijk de meeste macht op aarde geeft tegelijkertijd de hoogste mortaliteitsratio heeft. 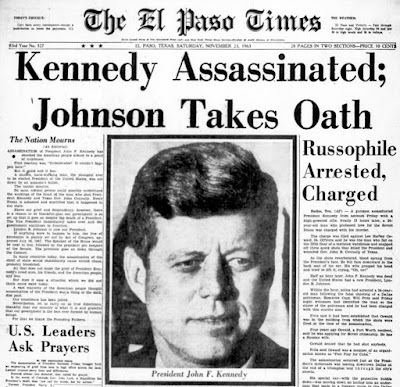 Iets om even bij stil te staan bij de sterfdag van president John F. Kennedy, deze week 55 jaar geleden. 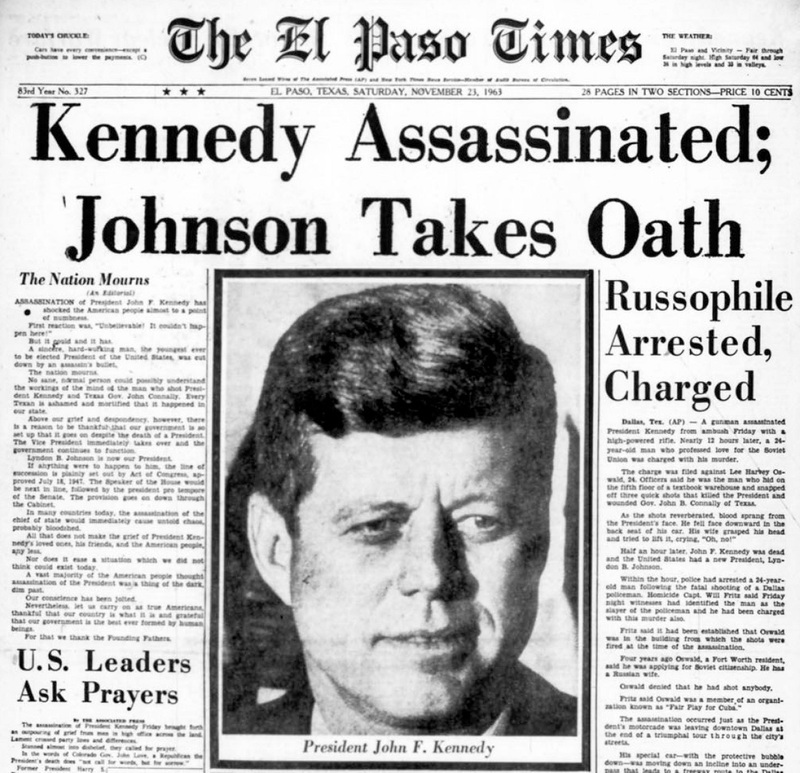 Veel mensen die de leeftijd hebben, weten nog waar ze waren toen ze op 22 november 1963 het nieuws kregen dat president Kennedy was vermoord. Ondanks de indruk die deze historische gebeurtenis heeft gemaakt, is deze moord niet uniek. Vier van 45 Amerikaanse presidenten zijn tijdens hun ambtsperiode vermoord, waarmee je dit ambt tot een zeer gevaarlijk ‘beroep’ kunt bestempelen. 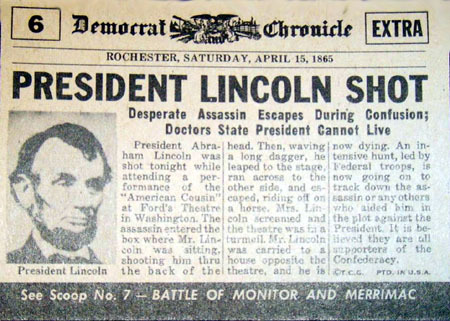 Op 14 april 1865 werd president Lincoln in het Ford’s Theatre in Washington D.C. neergeschoten door John Wilkes Booth. Dit was toen de Amerikaanse Burgeroorlog door de Geconfedereerde Zuidelijke Staten verloren was, waarbij ook daar de afschaffing van de slavernij een feit was. Als Zuidelijke rebel koesterde Booth een obsessieve haat tegen het Noorden. Onder zijn leiding was sprake van een drievoudige moordaanslag. Lewis Powell pleegde een aanslag op de minister van Buitenlandse Zaken, William Seward. De minister raakte zwaargewond, maar overleefde de aanslag. George Astenrodt zou vicepresident Andrew Johnson vermoorden, maar hij bedacht zich. Booth trof Lincoln met één kogel in het achterhoofd. De president overleed de volgende ochtend in het Petersen House, een kosthuis. Hij werd 56 jaar. De moord dompelde de Verenigde Staten in diepe rouw: de Noordelijke Staten omdat zij een populaire president verloren die hen zo goed door de burgeroorlog had geleid. 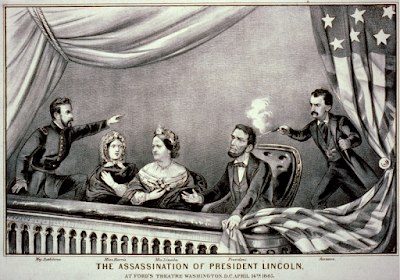 En de Zuidelijke Staten omdat zij na de burgeroorlog hun hoop op Lincoln hadden gevestigd voor clementie om hun oorlogshandelingen. Booth werd opgespoord in een tabaksloods in Virginia. Die schuur werd in brand gestoken en Booth werd binnen neergeschoten. Hij overleed korte tijd later, 26 jaar oud. John Powell werd kort na zijn aanslag op Seward opgepakt. Hij was 21 jaar toen hij werd geëxecuteerd. Overigens, de moordaanslag door Booth was niet de eerste op Lincoln. 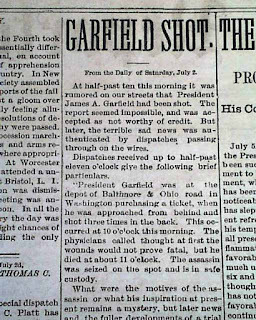 Al vóór zijn inauguratie in 1861 was er bijvoorbeeld een gerucht over een aanslag in Baltimore, Maryland. Daarom maakte de trein, waarmee Lincoln van zijn woonplaats Springfield, Illinois, naar de hoofdstad Washington reisde, geen tussenstop in die stad. 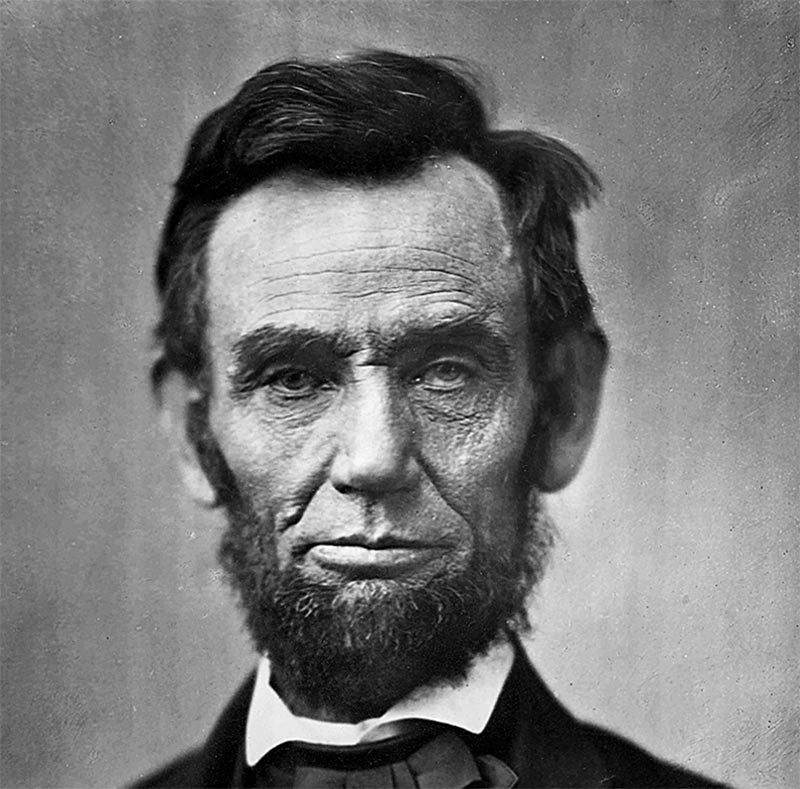 Lincoln voorvoelde kennelijk zijn dood, want enkele dagen voor de moord had hij verteld over een droom, waarin een aanslag op de president werd gepleegd. 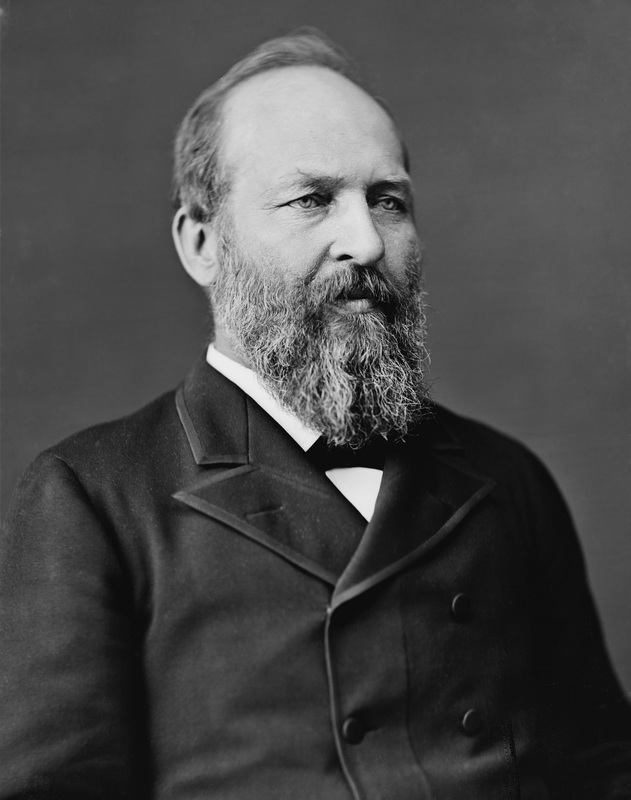 Op 2 juli 1881 werd president Garfield, nog maar vier maanden in functie, op een spoorwegstation in Washington D.C. neergeschoten door de advocaat Charles Guiteau. Hij stierf twee-en-halve maand later aan infecties, naar verluid het gevolg van slechte hygiëne van de behandelende artsen. 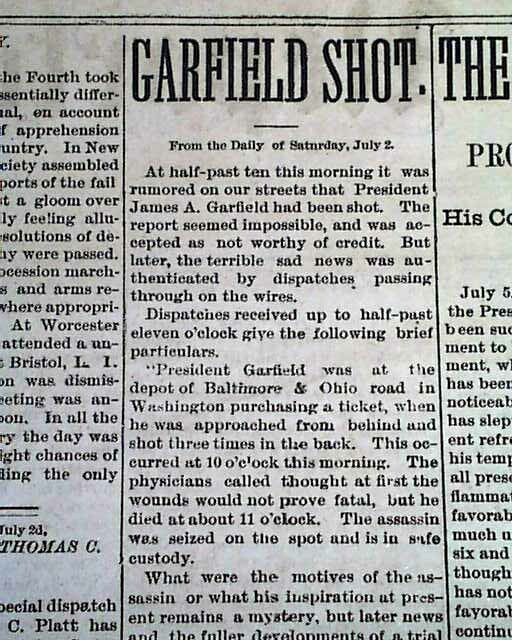 Garfield werd 49 jaar. Ondanks zijn korte ambtsperiode slaagde Garfield erin enkele noodzakelijke reorganisaties van overheidsdiensten door te voeren of aan te zetten. 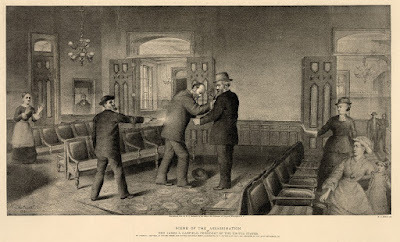 Guiteau werd een jaar later geëxecuteerd, 40 jaar oud. Hij voelde zich door de president gegriefd na een aantal afgewezen sollicitaties. 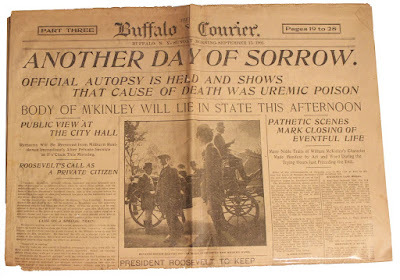 Op 6 september 1901 werd president McKinley neergeschoten door Leon Czolgosz tijdens de Pan-American Exposition in de Temple of Music in Buffalo, New York. Hij overleed acht dagen later, 68 jaar oud. 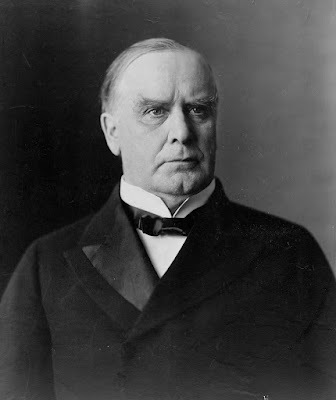 McKinley had als president een behoorlijke reputatie, maar hij werd daarin overschaduwd door zijn opvolger, Theodore Roosevelt. 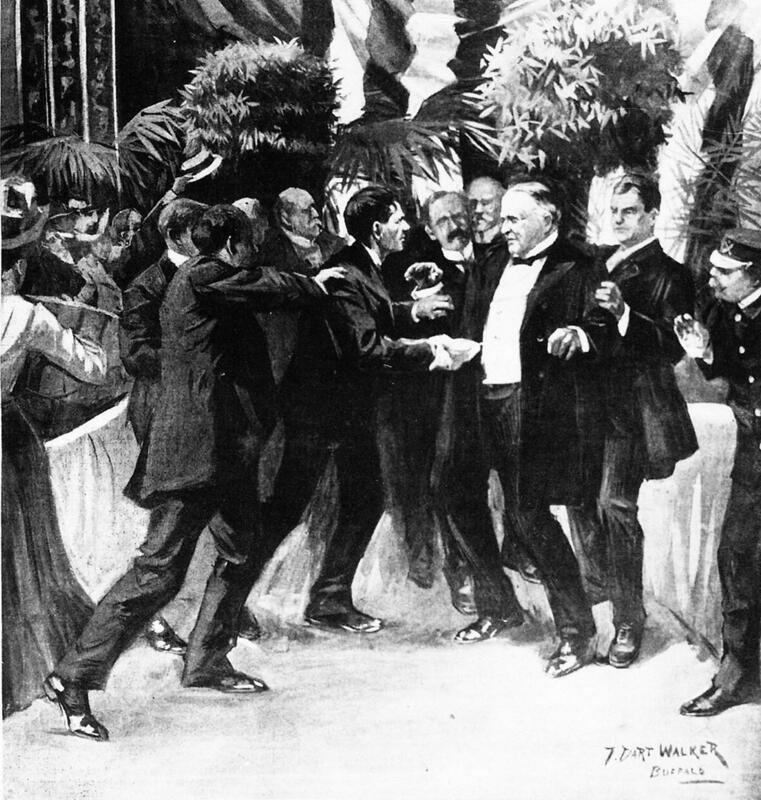 Czolgosz was een anarchist van Pools-Amerikaanse komaf. Hij werd zeven weken na de moord geëxecuteerd, 28 jaar oud. Er was zorg over de veiligheid van de president vanwege aanslagen door anarchisten elders in de wereld, zoals de moord op Koning Umberto I van Italië op 29 juli 1900. 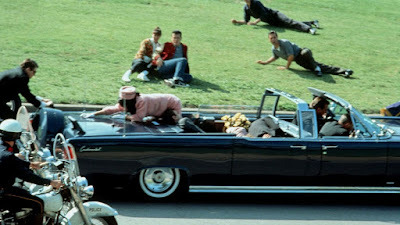 President Kennedy werd op 22 november 1963 vermoord door geweerschoten tijdens een rondrit in een open limousine door Dallas, Texas. Die rondrit was onderdeel van zijn herverkiezingscampagne. 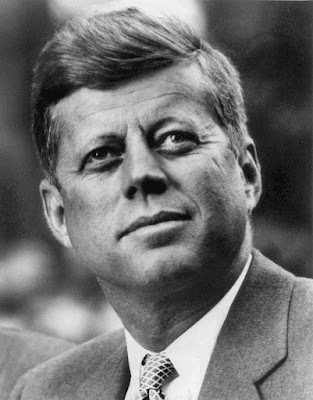 JFK werd 46 jaar. De gearresteerde verdachte Lee Harvey Oswald werd twee dagen later in Dallas neergeschoten door nachtclubeigenaar Jack Ruby. Oswald stierf kort daarna in het ziekenhuis, 24 jaar oud. Ruby stierf enkele jaren later in de gevangenis aan een longziekte, terwijl zijn rechtszaak nog voortsleepte. Hij werd 55 jaar. De moord op Kennedy vormt tot op heden onderwerp van complottheorieën, mede doordat niet duidelijk was uit welk motief Oswald gehandeld had. Analyses van de legendarische Zapruder-film leidden tot uiteenlopende interpretaties van de gebeurtenissen: https://youtu.be/kq1PbgeBoQ4?t=17s. Op 11 december 1960 was er al een moordaanslag op president Kennedy geweest, toen hij op vakantie in Palm Beach, Florida, werd bedreigt door Richard Pavlick. En dan waren er nog (andere) pogingen tot moord, zoals op president Ronald Reagan. Op 30 maart 1981, slechts 69 dagen na zijn inhuldiging, werden hij buiten het Washington Hilton Hotel neergeschoten door John Hinckley jr. Hoewel de verwondingen in eerste instantie ernstig leken, herstelde de president. Hinckley kwam in 2016 voorwaardelijk vrij uit de gevangenis; hij zou niet meer geestelijk ziek zijn. Er zijn meer aanslagen op presidenten geweest, maar daarbij kwamen de moordenaars niet zó dicht in de buurt. Al deze gebeurtenissen laten zien dat een goede bescherming van de Amerikaanse president geen overbodige luxe is. Tenslotte noem ik nog vier presidenten die tijdens hun ambtsperiode op natuurlijke wijze stierven. Zo overleed op 4 april 1841 president William Harrison aan een ernstige verkoudheid die hij tijdens zijn inauguratie, een maand tevoren, had opgelopen. Ondanks de kou had hij geweigerd om tijdens de inhuldiging een overjas aan te trekken. Hij werd 58 jaar. Zijn kleinzoon Benjamin Harrison werd ook president. Op 9 juli 1850 overleed president Zachary Taylor, waarschijnlijk aan de gevolgen van buikgriep. Of was het vergiftiging, zoals sommige historici beweren? Hij werd 65 jaar. 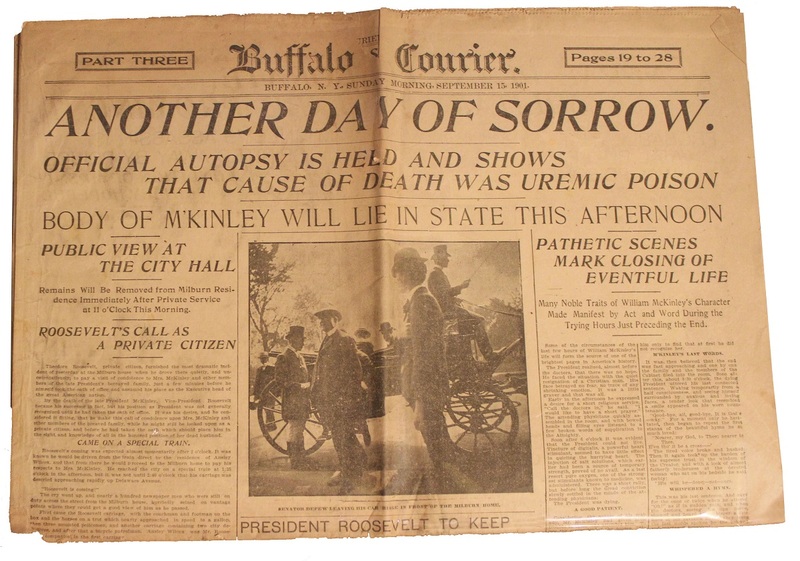 Op 2 augustus 1923 overleed president Warren Harding nadat hij tijdens een tour door Alaska ziek was geworden. Maar evenals bij president Taylor, wordt door sommigen vergiftiging als doodsoorzaak gesuggereerd. Hij werd 57 jaar. Op 12 april 1945 overleed president Franklin D. Roosevelt aan de gevolgen van een beroerte. Hij werd 63 jaar. Hij was president sinds 1933, een record dat door een grondwetswijziging niet meer kan worden verbroken. Dit artikel schreef ik niet alleen met het oog op de 55e sterfdag van president Kennedy, maar ook na lezing van het boek Team of Rivals – The Political Genius of Abraham Lincoln (2005) door Doris Kearns Goodwin. Ik las dit boek als achtergrond van mijn Amerika-reis, ruim een jaar geleden, waarover ik onder andere Door het tranendal tussen prachtige bergen schreef. Het boek is niet alleen een prachtige biografie van Lincoln, maar ook een goede beschrijving van de Amerikaanse Burgeroorlog, een kantelpunt in de Amerikaanse geschiedenis. Ondanks de omvang kan ik dit boek zeer aanbevelen. Wie naar Cyprus reist ontdekt een eiland vol contrasten. Al lange tijd heerst hier de rivaliteit tussen Griekenland en Turkije. En ook nu nog is de situatie gecompliceerd. Om maar eens wat te noemen: op Noord-Cyprus vinden we tussen de heuvels een stuwmeer. En dan denken we meteen aan het opwekken van elektriciteit. Maar dat is hier niet het geval. Het Gecitkoy stuwmeer dient als zoetwaterreservoir. Het wordt sinds 2015 gevuld vanuit een stuwmeer in het Taurusgebergte in Turkije. Het water wordt via een 80 kilometer lange pijpleiding, dwars door de Middellandse Zee, aangevoerd. Het stuwmeer voorziet heel Noord-Cyprus van water: de huishoudens, de hotels, de landbouw. Voor Turkije vormen de beide stuwmeren een effectief middel om dit stukje van de wereld aan hen schatplichtig te maken. Je hebt logischerwijs ook Zuid-Cyprus, dat op Griekenland is georiënteerd. De afstand tot Grieks zoetwater is te groot, dus verkrijgen ze daar hun drinkwater uit ontziltingsinstallaties. Turkije heeft het zuiden beleefd aangeboden om ook daar water uit het Taurusgebergte te leveren, maar de Grieks-Cyprioten zijn om te verrekken. En daarmee zijn de verhoudingen op het eiland, qua oppervlakte nog niet een kwart van Nederland, wel zo ongeveer geschetst. Voor een verklaring van de rivaliteit moeten we terug naar de periode sinds 1925 dat Cyprus een Britse kroonkolonie was. De Britten exploiteerden kopermijnen, een edelmetaal waar het eiland z’n naam aan ontleent. In de jaren 1950 werd gesproken over meer autonomie. Toen tekenden de tegenstellingen tussen de Griekse en de Turkse gemeenschap zich af. Een meerderheid van de Grieks-Cyprioten (tweederde van de bevolking) wilde aansluiting (enosis) bij Griekenland. De Turks-Cyprioten wilden scheiding (taksim) van het eiland in een Grieks en een Turks deel. En de Britten wilden van onafhankelijkheid weinig weten. Het gevolg was een geweldscampagne. Daarvan waren vooral Turks-Cyprioten slachtoffer, hele dorpen werden geplunderd. Na vier jaar guerrilla werd in 1960 door het Verenigd Koninkrijk, Turkije en Griekenland onafhankelijkheid aan Cyprus verleend. Het eiland werd daarbij met een onwerkbare grondwet opgescheept. Dit leidde ertoe dat eind 1963 opnieuw gevechten tussen Turks- en Grieks-Cypriotische nationalisten uitbraken. Er was sprake van een ware burgeroorlog. In 1967 kwamen de Verenigde Naties met een vredesmacht tussenbeide. Maar tegen die tijd waren de Turks-Cyprioten teruggedrongen in enclaves en werden zij economisch en politiek geboycot. Turkije dreigde met een invasie. Dat zette onderhandelingen in gang, wat enige ontspanning gaf. In 1974 organiseerde het Griekse kolonelsbewind een staatsgreep tegen president Makarios van Cyprus. Het doel was om het eiland alsnog bij Griekenland aan te sluiten. De gevechten werden in alle hevigheid hervat. In juli van dat jaar kwam er alsnog een Turkse invasie. De staatsgreep werd daardoor verijdeld, maar de Turken bezetten het noordelijke deel van het eiland. Honderdduizenden Grieks-Cyprioten werden met geweld uit hun huis verdreven. Nadat een wapenstilstand overeen was gekomen, kwam onder toezicht van de VN een uitwisseling tot stand: Grieks-Cyprioten verhuisden van noord naar zuid, Turks-Cyprioten in omgekeerde richting. In Noord-Cyprus is nog maar een enkel dorp met een Grieks-Cypriotische bevolking te vinden. Tot op heden is Cyprus verdeeld in Noord- en Zuid-Cyprus. De grens tussen beide – de Green Line – loopt dwars door de hoofdstad Nicosia. Zuid-Cyprus wordt als land door de internationale gemeenschap erkend en is sinds 2004 lid van de Europese Unie. Noord-Cyprus voelt zich Turks en viert daarom de Turkse nationale feestdagen, zoals de Jeugd- en Sportdag, oftewel de Herdenking van Atatürk, op 19 mei. Dit is de dag dat Mustafa Kemal Atatürk in 1919 in Turkije de onafhankelijkheidsoorlog begon. Noord-Cyprus wordt alleen door Turkije als land erkend. Wie per vliegtuig naar Noord-Cyprus (luchthaven Ercan) reist, maakt een tussenlanding in het Turkse Antalya. Het laatste stukje van de reis wordt als een binnenlandse vlucht beschouwd. Door die geïsoleerde positie heeft het noorden van het eiland een lager welvaartspeil dan het zuiden. Infrastructuur, zoals wegen, die in het zuiden netjes in orde is, is in het noorden nog in aanleg. En eerder dit jaar ondervond men er in volle heftigheid de gevolgen van de devaluatie van de Turkse lira. En nog steeds bestaat de bizarre situatie dat er Grieks-Cyprioten op Zuid-Cyprus wonen met woningen op Noord-Cyprus, waar ze geen toegang meer toe hebben. Wie er vastgoed koopt – en er zijn tamelijk veel Engelsen die daar een vakantiehuis willen hebben – doet er goed aan om te informeren wanneer het huis is gebouwd. Als het van vóór 1974 is, loop je kans op complicaties bij de eigendomsoverdracht als er nog een Griekse eigenaar in het spel is. De vijfsterrenhotels in de toeristenplaats Varosha, vlakbij de havenstad Famagusta, zijn ook zulke bezittingen. Grieks-Cypriotische exploitanten raakten die hotels in 1974 van de ene op de andere dag kwijt. Varosha is nu een spookstad. Sommige eigenaren bouwden op Zuid-Cyprus opnieuw hotels, in enkele gevallen aan de hand van de bouwtekeningen van de verloren hotels. Ondanks pogingen van de Verenigde Naties om de twee gebieden te herenigingen, is het eiland tot op heden verdeeld gebleven. Van geweld is gelukkig geen sprake meer, maar tegengestelde belangen staan hereniging in de weg. Cyprus illustreert waarom het principe van zelfbeschikking berucht is, namelijk omdat een volk dit recht opeist, maar het niet van toepassing acht op de mensen van de andere kant. Gewapend geweld was het gevolg. En dat was nog niet zo lang geleden en niet heel ver weg, namelijk in Europa. Hopelijk weet men op Cyprus de vrede te bewaren. Lees ook In de maalstroom van culturen. Om de potentie van de campus tot z’n recht te laten komen, kozen drie partijen voor samenwerking. DSM, Provincie Limburg en Universiteit Maastricht vormden een consortium, dat in 2012 van start ging. Binnen DSM was men overtuigd van de grote potentie van de campus. Na het stopzetten van de uitvoering van het Masterplan in 2008 (lees Campus wordt motor van de economie), zocht DSM de samenwerking met andere partijen om dat plan alsnog tot een goed eind te brengen. Met de Provincie Limburg en de Universiteit Maastricht / Maastricht Universitair Medisch Centrum+ kwamen ambitieuze plannen van de grond. Deze drie partijen vertegenwoordigen overheid, onderzoek en bedrijfsleven. De samenwerking werd als Triple Helix aangeduid; de partijen vormden een consortium. In 2012 maakten deze Triple Helix-partners bekend dat ze in totaal ruim 180 miljoen euro zouden gaan investeren in onderzoeksfaciliteiten, een kapitaalfonds voor ondernemingen, een onderwijsprogramma en vastgoed voor de versnelde ontwikkeling van Chemelot Campus en Maastricht Health Campus. Later dat jaar werd Chemelot Campus B.V. opgericht, met de Triple Helix-partners als aandeelhouders. Het doel van deze nieuwe rechtspersoon was om de campus te ontwikkelen tot dé vestigingsplaats voor bedrijven, onderwijs- en onderzoeksorganisaties in geavanceerde chemie. Het kapitaalfonds kreeg vorm als Chemelot Ventures (startkapitaal 50 miljoen euro). De aandeelhouder van Chemelot Campus B.V. hadden elk hun eigen belang bij de ontwikkeling van de campus. DSM kon op het ‘eigen erf’ een omgeving doen ontstaan, die de ontwikkeling van innovaties zou bevorderen. De provincie kon zijn financiële middelen – na de verkoop van de aandelen in energiebedrijf Essent ruimschoots beschikbaar – op een verantwoorde manier aan de Limburgse maatschappij ten goede laten komen. De universiteit kon relatief gemakkelijk de beschikking krijgen over speciale faciliteiten (laboratoria) die nodig waren voor een nieuwe opleiding in de natuurwetenschappen. De bouwactiviteiten werden nog in 2012 hervat met de nieuwbouw van het hoofdkantoor voor LANXESS Elastomers (tegenwoordig ARLANXEO), dat een jaar tevoren de synthetische rubberactiviteiten (Keltan) van DSM had overgenomen. Het kantoor werd in recordtijd gebouwd en het jaar erop in gebruik genomen. In datzelfde jaar – 2012 – startten twee onderwijsinitiatieven op de campus, namelijk CHILL en het Maastricht Sciences Programme. In de steenkooljaren en nog lang daarna beschikte DSM in Geleen over een eigen opleidingsinstituut. In 1929 werd bij de Staatsmijn Maurits begonnen met de bouw van een school voor ‘leesjongens’, dat wil zeggen kompels in de dop. Omstreeks 2000 werd de DSM-bedrijfsopleiding geheel stopgezet. Echter, het tekort aan adequaat geschoold personeel werd gaandeweg pregnanter. In 2010 fourneerde de rijksoverheid via het Platform Bèta Techniek fondsen voor sectorinvesteringsplannen in het onderwijs. Dit leidde in 2012 tot Chemelot Innovation and Learning Labs (CHILL), een samenwerking tussen Zuyd Hogeschool (hbo), Arcus College (mbo), Leeuwenborgh Opleidingen (mbo) *) en Universiteit Maastricht (universitair). CHILL stelt op de campus een innovatieve leer-, werk- en onderzoeksomgeving beschikbaar waar onderwijs en bedrijfsleven samenwerken aan de ontwikkeling van kennis en nieuwe producten. Het Maastricht Science Programme van de Universiteit Maastricht startte als een liberal arts & science-opleiding, waarin studenten worden opgeleid tot bachelor in de natuurwetenschappen. Er kwamen twee masteropleidingen bij: een master Biobased Materials op Chemelot Campus (start 2013) en een master Systeembiologie op Maastricht Health Campus (start 2014). Verder startten de Universiteit Maastricht en de Rheinisch-Westfaelische Technische Hochschule (RWTH) te Aken in 2013 op de campus het Aachen-Maastricht Institute for Biobased Materials (AMIBM). Naast CHILL en de Universiteit Maastricht waren Enabling Technologies en Reverdia in 2012 nieuwe toetreders. Enabling Technologies is een joint venture van DSM, de Universiteit Maastricht / Maastricht Universitair Medisch Centrum+ en de Provincie Limburg. Deze organisatie stelt hoogwaardige analyseapparatuur, zoals microscopen en spectrometers, ter beschikking van het midden- en kleinbedrijf. Reverdia, een joint venture van DSM en Roquette, produceert barnsteenzuur dat wordt toegepast in biobased materialen. In 2014 werd Brightlands geïntroduceerd, de merknaam voor Chemelot Campus en Maastricht Health Campus, daarna ook voor Smart Services Campus in Heerlen en Campus Greenport Venlo. In hetzelfde jaar werden op de campus twee onderzoeksinstituten opgericht. Chemelot Institute for Science and Technology (Chemelot InSciTe) voert onderzoeksprogramma’s uit op het gebied van biomedische materialen en biobased materialen. Brightlands Materials Center (BMC) doet onderzoek naar geavanceerde toepassingen van polymere materialen. In 2015 werd een complex in gebruik genomen waar bedrijven testfabrieken kunnen onderbrengen. Onder andere Chemelot InSciTe, Sappi en Technoforce vulden die mogelijkheid in. Het Zuid-Afrikaanse papierbedrijf Sappi doet onderzoek naar de productie en toepassing van nanocellulose. Het Indiase bedrijf Technoforce houdt zich (sinds 2013 op de campus) bezig met scheidingstechnologie (lees Scheiden doet verblijden). In 2016 werd Center Court geopend, een nieuw gebouw met algemene voorzieningen, zoals een restaurant en vergaderzalen, en tevens de nieuwe huisvesting voor DSM Innovation Center, CHILL en de Universiteit Maastricht. In 2017 vestigde Sekisui S-Lec een Europees onderzoekscentrum op de campus, voor onderzoek naar nieuwe toepassingen van folies in auto’s. Dit jaar (2018) zijn twee nieuwe bedrijfsgebouwen in aanbouw: de BrightHouses, waar onder andere Sitech Services gehuisvest wordt. Tenslotte werd onlangs de oprichting van het Brightlands Sustainable Technology Center (BSTC) aangekondigd. Brightlands Chemelot Campus en Chemelot Industrial Park hebben zich de afgelopen jaren nogal onafhankelijk van elkaar ontwikkeld. Maar door het BSTC worden campus en site weer op één agenda verenigd. Dit onderzoekscentrum moet namelijk met revolutionaire oplossingen komen om te zorgen dat Chemelot in 2050 klimaatneutraal is, terwijl de CO2-uitstoot dan tot (bijna) nul is gereduceerd. De inbreng van bedrijven, onderzoeksinstituten en kennisinstellingen, zoals Sitech, TNO en de Universiteit Maastricht, is hiervoor nodig. Dit nieuwe centrum toont aan dat Brightlands Chemelot Campus steeds weer plaats biedt aan nieuw onderzoek. *) Deze twee mbo-instellingen gaan fuseren. Lees ook Hoe het onder de grond begon, De ontdekking van de Mijngod, De eerste transitie: van steenkool naar chemie, Toen het donkerder werd dan in een mijnschacht, Hoe DSM zich tot chemiebedrijf ontwikkelde, Hoe DSM een sprong voorwaarts maakte, DSM van bulk naar hogere toegevoegde waarde, Hoe DSM rendabel bleef door focus op kerntaken, Hoe het begon met Chemelot, Hoe Chemelot zich op de toekomst heeft voorbereid. Met deze blogpost is de serie over de geschiedenis van Chemelot in het heden gearriveerd. In de Middellandse Zee ligt een eiland dat eeuwenlang een speelbal was in de maalstroom van culturen. Op Cyprus volgde het ene rijk na het andere. Ze lieten alle hun sporen na. De maalstroom werd op gang gebracht in de mythologie, want Cyprus was de geboorteplaats van de Griekse godin Aphrodite. Een van de oudste steden van Cyprus is sinds 1100 v.Chr. Salamis (niet te verwarren met het eiland voor Athene). De stad was strategisch gelegen tussen Azië, Afrika en Europa en achtereenvolgens deden Perzen, Grieken en Romeinen er hun invloed gelden. De stad werd meermalen door aardbevingen verwoest en weer opgebouwd. In de zevende eeuw werd de stad nogmaals verwoest, dit keer door Arabieren. Daarna werd de stad niet meer herbouwd en Nicosia werd de hoofdstad van het eiland. De bezoeker vindt er nog de ruïnes, waaronder een bad-gymnasiumcomplex en het theater. Je ontdekt er ondergrondse luchtkanalen, die dienden als centrale verwarming, lees Eigen ‘hypocaustum’ is goud waard. De geschiedenis van Soloi, een van de tien stadskoninkrijken waarin Cyprus was verdeeld, gaat terug naar de 6e eeuw v.Chr. De naam is afkomstig van de dichter en politicus Solon van Athene. Hij wordt tot de Zeven Wijzen gerekend, de grondleggers van een vroege stroming in de filosofie. Toen deze Solon op Cyprus verbleef, sloot hij vriendschap met de heerser van het rotsstadje Aipeia. Solon adviseerde hem om de stad naar een gunstiger plaats te verhuizen en dat bleek een wijs advies: de nieuwe stad aan de noordkust floreerde. Van Soloi is niet veel meer over dan een grote mozaïekvloer, die – met dank aan een Amerikaanse liefdadigheidsinstelling – volledig is overkapt. Het meest opmerkelijke detail in het mozaïek is een zwaan. Volgens de Bijbel was Lazarus een werkelijk bestaande persoon, de broer van Martha en Maria van Bethanië. Hij werd door Jezus uit de dood opgewekt toen hij al vier dagen gestorven was (Johannes 11). Na zijn opwekking en de kruisdood van Jezus vluchtte Lazarus naar Cyprus. Hij werd bisschop te Larnaca aan de zuidkust van het eiland, waar hij nog dertig jaar leefde. In de crypte van de Sint-Lazaruskerk was ooit zijn graf, althans volgens een van de Lazaruslegendes. De kerk dateert van de 13e eeuw, de klokkentoren van 1857. Op het uiterst oostelijk puntje van Cyprus, slechts 105 km van Syrië, staat pal aan de kust het Sint-Andreasklooster. Tussen de kust en het klooster vindt je een zoetwaterbron. En dat is wonderlijk, zo dichtbij het zoute zeewater! Op zijn reis naar het Heilige Land raakte het schip van Andreas, een van de twaalf apostelen, van koers en sloeg hier op de rotsen. Toen Andreas aan land kwam, tikte hij met zijn staf op de rotsen en er ontstond de bron. Het water bleek geneeskrachtig, want het genas het blinde oog van de kapitein. Zo ontstond het Lourdes van Cyprus, een heilige plaats voor Cypriotisch-orthodoxen. Andreas stierf de martelaarsdood aan een diagonaal kruis, het Andreaskruis (lees Hoe wij ons citroenen lieten verkopen. Het huidige klooster is toe aan restoratie, maar dat is op Cyprus een moeizame aangelegenheid. In de Bijbel wordt geschreven over Barnabas, een jood, afkomstig van Cyprus (Handelingen 4 : 36). Hij reisde met de apostel Paulus mee op diens zendingsreizen door Klein-Azië, onder andere naar Antiochië, Jeruzalem en Cyprus (Hand. 13 : 4-5). Totdat zij onenigheid kregen over de samenstelling van het reisgezelschap en Barnabas alleen terugkeerde naar Cyprus (Hand. 15 : 37-39). Te Salamis stierf hij volgens de overlevering de martelaarsdood in 61 na Chr. De overlevering gaat verder: de locatie van zijn graf werd in 478 in een droom geopenbaard aan de aartsbisschop van Salamis. Daadwerkelijk vond hij het graf onder een johannesbroodboom. Op die plaats werd een kerk gesticht: de Barnabaskerk. Dit is tegenwoordig een iconenmuseum, waar tot mijn genoegen Sint Nicolaas niet ontbreekt. Het kasteel van Sint Hilarion ligt hoog boven de stad Kyrenia (Girne), middenin het Vijf Vinger Gebergte (het Pentadyktylos-gebergte). Hier heb je uitzicht op de omliggende bergen, de kuststrook en de Middellandse Zee. Bij mooi weer zie je in de verte Turkije. In Byzantijnse tijden was het een wachtpost. Met de kastelen Buffavento en Kantara in het zicht kon vandaar de hele noordkust worden bewaakt tegen Arabische piraten. Tijdens en na de kruistochten vestigden de Franken zich op Cyprus. Het waren kruisvaarders van Franse komaf, met name de vooraanstaande familie Lusignan. Alhoewel zij het kasteel van Sint Hilarion tot zomerresidentie hebben verbouwd, vormen twee kathedralen uit de 14e eeuw hun meest opmerkelijke erfenissen. De Sophiakathedraal staat in hoofdstad Nicosia, de Sint-Nikolaaskathedraal in de Noord-Cypriotische havenstad Famagusta (Gazimağusa) aan de oostkust. Het gaat hier om de grootste kathedralen ten oosten van Istanbul. Ze ondergingen beide hetzelfde lot toen de Ottomanen de islam naar het eiland brachten. De gebouwen werden gestript, de torens werden vervangen door minaretten en het interieur werd ingericht als moskee. Binnen werd tamelijk rigoureus de oriëntatie op Mekka tot stand gebracht. Het resultaat van deze verminkingen doet pijn aan de ogen. Het gotische klooster Bellapais werd in de 13e eeuw gebouwd met hulp van de kruisridders. Het werd een pelgrimsoord, omdat er een fragment van het Heilige Kruis werd bewaard. Hier heb je van 700 m hoogte een mooi uitzicht over de kuststrook, alhoewel het niet zo spectaculair als van Sint Hilarion. De Franken moesten plaats maken voor de Venetianen, die in de 16e eeuw steden als Nicosia en Famagusta versterkten met dikke stadsmuren. In 1570-1571 doorstond Famagusta een beleg van dertien maanden door de Turken, waarna de stad alsnog werd veroverd. De Venetianen versterkten in de 16e eeuw ook het kasteel van de havenstad Kyrenia, aan de noordkust van Cyprus. Dit kasteel was in 330 na Chr. door de Romeinen gesticht en werd door de Byzantijnen uitgebouwd. Al die versterkingen konden niet voorkomen dat de stad zich in 1571 aan het Ottomaanse leger overgaf. De Ottomanen hebben niet alleen de gebouwen van hen voorafgaande culturen verminkt. Zo bouwden zij bijvoorbeeld de Hala Sultan Tekke-moskee (of moskee van Umm Haram). Dit is een islamitisch heiligdom aan de Griekse kant van Cyprus, terwijl de hiervoor genoemde bouwwerken alle aan de Turkse kant staan. Umm Haram was de vrouw van Ubada bin al-Samit, een metgezel van de profeet Mohammed. Zij was daar tijdens een Arabische aanval op het nabijgelegen Larnaca. De moskee markeert de plaats waar deze hoogbejaarde vrouw van een muildier viel. Zij stierf en werd ter plekke begraven. De moskee uit de 18e eeuw staat aan een zoutmeer, waar flamingo’s overwinteren. Heel mooi, al die oude gebouwen, maar ze zijn eerder doelwit van corrupte kunsthandelaren en plunderaars dan object van renovatie. Het is aan te raden om gauw zelf te gaan kijken. De vroege geschiedenis van Cyprus is gekruid met mythische verhalen. De jongste geschiedenis van het eiland moet het doen zonder die franje – daarover later meer. By the end of 2000, DSM launched a new strategy: Vision 2005. This had major consequences for the DSM site at Geleen. Read how this led to the creation of Chemelot. Vision 2005 led DSM away from bulk chemicals and polymers, in the direction of specialty products in performance materials, health, and nutrition, which was combined with further internationalization. The most far-reaching aspect of this change was the sale of the petrochemical activities, which comprised roughly half of DSM’s activities at Geleen. In 2002, these activities were sold to the Saudi-Arabian company SABIC. Thus, a new situation was created: two major players – DSM and SABIC – located at one industrial site. The deal gave DSM the means to realize its ambitions in life sciences and material sciences, and so become less sensitive to cyclical fluctuations in sales and revenues. The move catapulted SABIC from 22nd to 11th place in the world ranking of petrochemical companies. The name Chemelot has connotations with chemistry, lot (place) and, of course King Arthur’s mythical castle, Camelot. With DSM as well as SABIC on the site, the name Chemelot was introduced in 2002. Chemelot comprises the industrial park and the campus. The year 2005 can be considered the real starting point for Chemelot. After the petrochemical activities had been taken over by SABIC, the staff departments of the remaining DSM units were drastically reorganized as a result of the Copernicus project (2002-2004). In 2004, this gave rise to protests from the trade unions, who feared that DSM was about to dismantle (too) many of its operations in South Limburg. In that same year, DSM concluded a covenant with the Municipality of Sittard-Geleen, the Province of Limburg, and the trade unions. The aim was to develop the former DSM site into an open industrial site for chemical production, research, and development. Targets were set for attracting new companies and for creating new jobs during the period 2005-2008. This explains why 2005 is taken as the starting point of Chemelot. DSM’s strategy had consequences for DSM Research at Geleen. The research activities were decentralized to the business. Activities of a more general nature, such as analysis, were divided among departments that from now on presented themselves to the outside world under their own names, such as DSM Resolve. The name DSM Research disappeared, the research site was called Chemelot Campus; since 2014: Brightlands Chemelot Campus. This became the location where DSM, SABIC and, increasingly, other companies established their (new) activities in the field of research and development – and they still do today. DSM invested in acquisition and real estate. The Municipality of Sittard-Geleen invested in infrastructure. For instance, in the renovation of the entrance (Gate 2) to the Chemelot Campus, the Gate to Innovation, which was ready in 2008. Another investment concerned the Prof. Van Krevelenstraat, which in that same year unlocked a publicly accessible part of the Chemelot site, an area of 67 acres. Here Mammoet realized a new company building in 2012. In cooperation with LIOF, DSM set up a venture capital fund, Limburg Ventures, to promote the further development of Chemelot. In 2009, it could be concluded that the targets of the covenant were amply met. The most remarkable acquisition was the Japanese chemical company Sekisui S Lec, which chose Chemelot as the location for a new plant for polyvinyl butyral resin, a raw material for safety glass films (for instance used in car windshields). This plant started production in 2006, and in 2010 its capacity was doubled. In 2007, DSM decided to sell a large part of its remaining bulk activities, activities based at Chemelot. As a result, DSM’s focus was placed even more strongly on nutrition and health products and performance materials. Before this sale was realized, the supporting services (DSM Manufacturing Center, DMC) were transferred to a new entity: Sitech Services (2009). The shareholders of Sitech are DSM and the companies that were to become the owners of the plants still operated by DSM at the Industrial Park in 2002, after the petrochemical activities were sold to SABIC (SABIC is not a shareholder). Sitech supports these plants with a range of services, such as maintenance. Furthermore, Sitech provides services to the whole site, notably the company fire department, the security department, the overall infrastructure (roads, railways, pipe ways, sewers), and waste water purification. The creation of Sitech Services prevented fragmentation of expertise and ensured that the costs did not become too high. Meanwhile, a structure was created in the field of governance. Agreement was reached with the Province of Limburg, which was the authority issuing the environmental permit, about a single so-called umbrella permit for the entire site. The individual plants received a sub-permit under this permit; there are about fifty of these. The holder of the umbrella permit is a special legal entity, the Chemelot Site Permit B.V. (CSP), with SABIC, Sitech Services, the other sub-permit holders – which had formed the Association of Other Site Users, – and DSM Netherlands/Chemelot (as the land owner) as shareholders. In 2007, a single desk was established for direct contact between CSP (also representing the Chemelot companies) and the Province of Limburg. In addition, a Policy Board was set up, consisting of the CSP Managing Board, to determine the internal policy for companies based at Chemelot. This policy is laid down in documents, such as the Site Regulations. This is a repost of my (Dutch) August 6, 2018 post. Belangrijke perioden in de geschiedenis worden vaak gekenmerkt door opstand. Zo heb je de opstand van de Bataven tegen de Romeinen en van de Nederlanden tegen de Spaanse koning. Maar wat weten we over de opstand van de Drenten? Het is de Maand van de Geschiedenis en het thema is Opstand. En dan gaat het vooral over de Bataafse Opstand (69-70) en de Tachtigjarige Oorlog (1568-1648), of over de Bataafse Revolutie (1794-1799) en de Curaçaose slavenopstand (1795). Maar in een bijna vergeten stukje van de tijdlijn (de Middeleeuwen) én van ons land (vlakbij Coevorden) kwamen ooit de Drenten in opstand tegen de bisschop van Utrecht. De historische bron is het handschrift Quedam narracio de Groninghe, de Thrente, de Covordia…, kortweg de Narracio (1232). Ik beschik over een Nederlandse vertaling: Een verhaal over Groningen, Drente en Coevorden… (Bronnenuitgave van het Historisch Seminarium van de Universiteit van Amsterdam, 1977). Het speelt in een tijd waarin de basis van de macht ver weg lag. De geestelijke macht was in handen van de paus in Rome, de wereldlijke macht berustte bij de keizer. Die laatste werd in Aken gekroond, dat is nog dichtbij, maar voor zijn werkzaamheden was hij continu onderweg. De paus en de keizer delegeerden hun macht. Zo stelde de paus bisschoppen aan over de kerkelijke provincies (diocesen) en gaf de keizer gebiedsdelen in leen van graven. De bisschoppen en de graven delegeerden verder, naar prefecten, abten en een hele hiërarchie van ridders. Maar bisschoppen verwierven vaak ook wereldlijke macht, terwijl wereldlijke leiders zich met de aanstelling van bisschoppen bemoeiden. Dat gaf verwarrende situaties, omdat de machtslijnen dan door elkaar liepen. En dat leidde onherroepelijk tot conflicten. Dit was Middeleeuwse realiteit, ook in Nederland, met name in het bisdom Utrecht (Sticht). De trammelant was eigenlijk al begonnen toen bisschop Harbert van Bierum (1139-1150) in Groningen een opstand had neergeslagen. Hij verdeelde daarop het noordelijke deel van het bisdom (Oversticht) onder zijn twee broers. Aan Ludolf gaf hij het kasteel Coevorden en het schoutambt Drenthe in leen en aan Leffert de prefectuur over Groningen (Stad en Ommelanden). Als burggraaf van Coevorden en schout van Drenthe kreeg Ludolf rechterlijke en militaire macht. Coevorden was strategisch gelegen aan de enige goede toegangsweg naar het noorden. Drenthe en Groningen waren verder slechts te bereiken over het water via Steenwijk of, bij droogte of vorst, via de anders ontoegankelijke moerassen. De opvolgers van Ludolf probeerden zich onafhankelijk van de bisschop op te stellen. Als prefect trad Leffert namens de bisschop op als rechterlijk, bestuurlijk en militair ambtenaar. Ook Leffert’s opvolgers trachtten zich aan het gezag van de bisschop te onttrekken, maar zij moesten rekening houden met de Groningse stadspartij, de Gelkingen. Bisschop Boudewijn II van Holland (1178-1196) liet het gebied niet met rust, vooral niet omdat zijn broer, graaf Otto van Bentheim klaagde dat de heren van Coevorden hem lastigvielen. Daarom veroverde de bisschop Coevorden in 1187 en droeg het enkele jaren later over aan zijn broer. Vervolgens ontstond onenigheid met de bisschop over de opvolging van de prefectuur van Groningen. Daarbij werden in heel Drenthe bezittingen van de bisschop geplunderd, waarop de bisschop een leger naar het noorden stuurde. Er werd bemiddeld door de graaf van Gelre en vervolgens leverden Groningen, Drenthe en Coevorden in Deventer een aantal gijzelaars af. Die gijzelaars zouden losgeld kunnen opleveren – ook toen al draaide het vaak om geld. Een van de heren van Coevorden, Folker behoorde niet tot de gijzelaars en wist het kasteel van Coevorden te heroveren. Vervolgens kwam er een uitwisseling van gijzelaars op gang. De aartsbisschoppen van Mainz en Keulen kwamen naar Deventer om vrede af te dwingen. De vredesbepalingen schoten de graaf van Bentheim echter in het verkeerde keelgat en daarom sloeg de bisschop zijn legerkamp nabij Coevorden op om het kasteel in te nemen. Maar zover kwam het niet. Enkele van zijn manschappen waren met pijl en boog schermutselingen met de Drenten aangegaan en dat liep uit de hand. De krijgslieden van de bisschop sloegen op de vlucht en er ontstond paniek in het legerkamp. Het hele leger sloeg op de vlucht. “Als vrouwen gooiden ze hun wapens weg, lieten paarden, wagens, tenten en onnoemelijk veel proviand achter,” aldus de Narracio. De bisschop protesteerde luidkeels en schold hen voor ellendelingen uit. Ternauwernood wist hij aan het moeras te ontkomen. Wat een klucht! Ware het niet dat dertig man dood bleven. Al gauw stierf Boudewijn II en hij liet een verarmd bisdom na. Oversticht kreeg een tijdlang rust, want de volgende bisschoppen waren te druk met onderlinge strijd (een tijd lang waren er twee bisschoppen) en het plunderen van het graafschap Holland. In 1215 werd Otto II van Lippe de nieuwe bisschop van Utrecht (1215-1227), dat – mede door die plunderingen – weer welvarend was geworden. Om zijn belangen te verdedigen trad hij hard op tegen opstandige kasteelheren in het land van Vollenhove en Salland, en tegen de graaf van Gelre. Problemen in het noorden bezorgden hem pas écht hoofdpijn. In Groningen ontstond namelijk een conflict tussen prefect Egbert en de Gelkingen. De Gelkingen riepen de hulp in van burggraaf Rudolf II van Coevorden. Egbert bouwde iets ten zuiden van Groningen een kasteel, dat door Rudolf en een legertje Drentse boeren met de grond gelijk werd gemaakt. Daarbij werd Egbert’s familie gevangen genomen en Egbert week uit naar Friesland. Met de Friezen heroverde Egbert de stad Groningen, die daarbij werd geplunderd. Er kwam een uitruil van gevangen met Egbert’s familie tot stand en Egbert herstelde de stad. Toen Rudolf met de Drenten en de Gelkingen de stad Groningen opnieuw belegerde, was voor de bisschop de maat vol. Egbert was immers zijn dienstman. De bisschop bracht een groot ridderleger op de been, met steun van de graven van Holland, Kleef en Gelre. Zelfs uit het bisdom Keulen en Münster kwamen ridders naar het strijdtoneel. De bisschop beloofde de aflaat aan zijn helpers, die kruisvaarders werden genoemd. Het was in de tijd dat kruistochten naar Jeruzalem op touw werden gezet, Otto II had zelf deelgenomen aan de Vijfde Kruistocht. Ridders van naam en faam en allen die willen vechten verzamelden zich bij Ommen. Rudolf brak het beleg van Groningen op en keerde terug naar Coevorden. Het bisschoppelijk leger trok op naar Ane, vlakbij Coevorden. Op 28 juli 1227, een hete zomerdag, gaf de bisschop het bevel om via het moeras tussen Ane en Coevorden op te trekken – het draaide uit op een ramp. Ook Otto II liet een verarmd bisdom na en Wilbrand van Oldenburg werd zijn opvolger. Hij moest orde op zaken te stellen, men wilde wraak. Wilbrand organiseerde een nieuw leger en trok op tegen de Drenten en Coevordenaren. Door de overmacht werden zij gedwongen een verdrag te sluiten. De Drenten moesten een forse genoegdoening betalen. Ook werden ze gedwongen een klooster te stichten, vermoedelijk Mariënkamp bij Coevorden, dat in 1260 werd verplaatst – zo ontstond Assen. De heren van Coevorden verloren het beheer over Coevorden en het schoutambt. De strijd vlamde weer op toen Rudolf II in 1228 het kasteel heroverde. Wilbrand bracht weer een leger op de been en viel Coevorden aan; geholpen door strenge vorst kon hij veilig het moeras passeren. Maar het weer sloeg om en door wind en regen gedwongen moest hij zich terugtrekken. De Narracio vertelt dat onderhandelingen, wapenstilstanden en gewapende strijd tussen de bisschop, de prefect en de Friezen enerzijds en de heren van Coevorden, de Drenten en de Gelkingen anderzijds elkaar afwisselden. Bij een van die onderhandelingen, in Hardenberg ging het mis voor Rudolf II. Hij liep in een hinderlaag. Met geweld werd hij gevangen genomen en een week later, op 25 juli 1230 geradbraakt. Hij werd 38 jaar. Onduidelijk is waarom de Drenten zo actief de burggraaf van Coevorden steunden. Waarschijnlijk had dit te maken met belastingen die hen door Otto II waren opgelegd. Zoals gezegd: ook toen draaide het vaak om geld. Lees ook over twee andere veldslagen, te weten Hoe je schoonpapa terzijde schuift over de Slag aan de Boyne in Ierland en Een vluchtweg als wandelroute over de Slag bij Inverlochy in Schotland. De publicatie van nieuwe artikelen is gepauzeerd. The publication of new articles has been paused. Deze blog gaat over uiteenlopende zaken die lezers mogelijk interesseren of amuseren. Klaas Bos. Thema Eenvoudig. Mogelijk gemaakt door Blogger.